The island of Bali is full of very attractive natural beauty in all directions including the Ubud region. In this place there are many tourist attractions that we can visit with family members. Ubud is a cool highland place known as the right location if we want to get to know culture, tradition, natural exploration, culinary and shopping. The Ubud area has all that mentioned, except for the beach like in other parts of Bali. So, if you vacation in Bali you should take your time to stay in this beautiful and cool location. 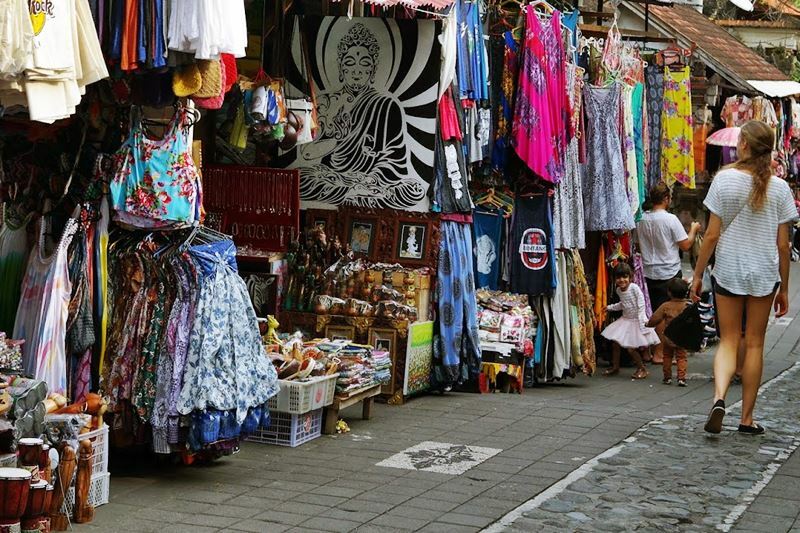 This art market is the most strategic object in the center of Ubud and right in front of Ubud Royal Palace. This place is quite unique because in the morning it functions as a public (traditional) market. Towards noon especially during holidays, it turns into a shopping location for knick-knacks and Balinese art products. If you want to find souvenirs, this market is very suitable as a place of hunting. It is a royal palace which is a center for tourist visits. It is not so far from Ubud traditional art market. 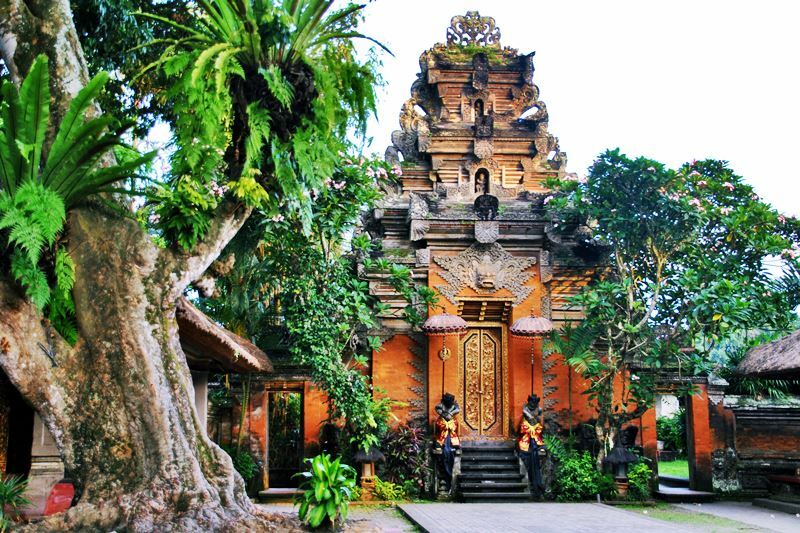 Buildings that still maintain the authenticity of Balinese architecture are perfect for those of you who like to take pictures. In front of him there is also a pavilion (opposite) which is often used as a venue for art performances. The exact location in Blahbatuh subdistrict, Gianyar. This tourist attraction is a building for worship which is overall very beautiful and recommended to visit. Access to enter Goa Gajah Temple is quite easy. Even the car parked quite close to the entrance area. Located in Padangtegal, Ubud, Bali. Foreign tourists really like a palace-like place for thousands of monkeys living in this name “Mandala Wisata Wenara Wana”. 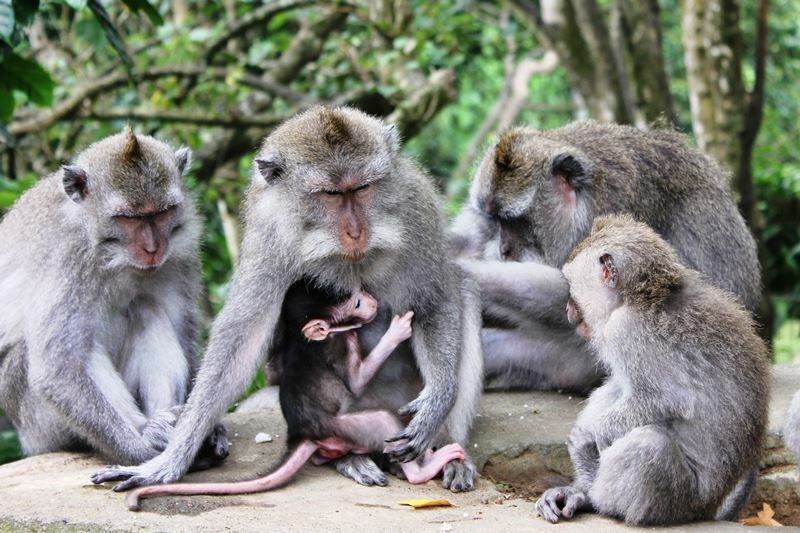 This forest is filled with intelligent primates that are sometimes nosy. You need to be careful of luggage such as cameras, bags, hats and glasses worn. If these items are seized by monkeys, immediately contact the officers and the people who are scattered here so that you can be helped. Nyu Kuning Village is a tourist village that has a very beautiful and cool nature. Many tourists who cycle around this village are known as places that still hold indigenous traditions and traditions of Bali. There are many banners that seem to greet you in this Ubud village. Some inns, homestays and resorts are also found in this place. Delicious food that is mostly hunted by non-Muslim tourists has never been quiet all day long. In fact, it is not uncommon for visitors to queue to get a table. Entering the restaurant is quite unique because it is through a small alley. But when you enter, you find a large restaurant in it. In this very famous restaurant in Ubud Bali, don’t be surprised if you want to wash your hands, because the sink faucet is in the form of a pig that emits water. It is located on the edge of the rice fields, making this place very enjoyable to visit, besides of course feeling the delicious “dirty duck dinner”. Foreign and domestic tourists do not go down in this culinary tourism location. If you want to try the dishes, we recommend the very tasty “crispy duck” menu. The tourist activities that are identical with the wet are very fascinating and you must try. Along the river as far as 12 km with various rapids that are fun to pass. 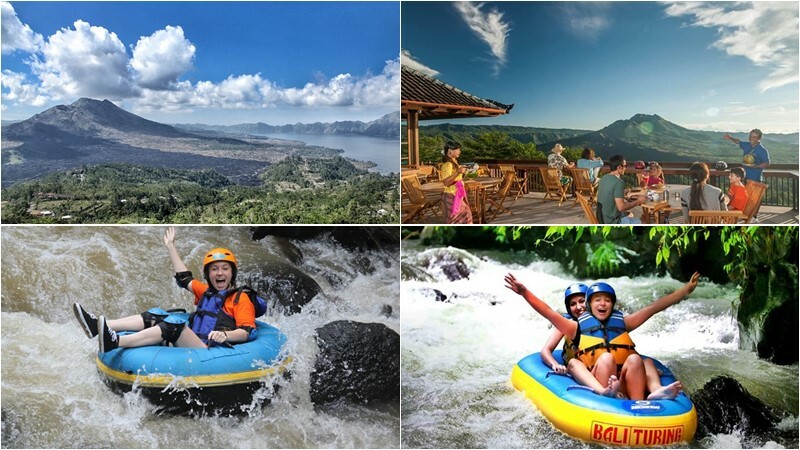 The white water rafting here is not too dangerous and comes with a difficulty level of grade 3, so it can be tried for anyone who has never taken a rafting tour though. Ayung River is the longest river in the Ubud area that runs up to Sanur beach. 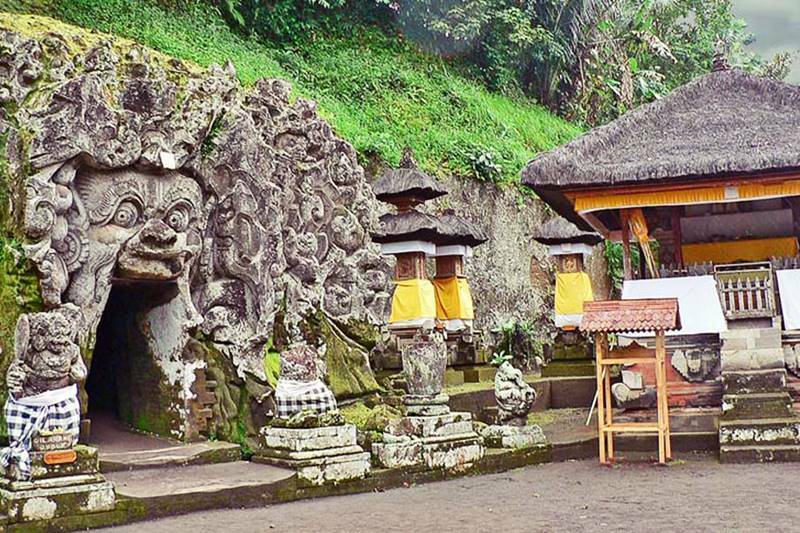 Are you interested in visiting the 8 famous Ubud attractions? We recommend taking the time to spend the night in Ubud because it will make your holiday in Bali more complete and unforgettable. So, especially for those of you who are vacation in Bali, you need to consider Ubud as your next place to stay. Then, if you need Bali experience driver for your trip or activities, please visit https://balicabdriver.com or contact us via WhatsApp +62 878 6196 8073.